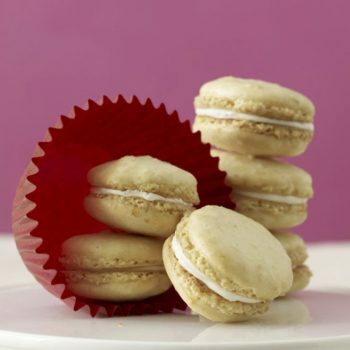 Clementine Almond Cookies are my delicious citrus take on a classic macaron. The cookie is light, crispy but chewy and flavorful. And don’t get me started on the filling! A clementine is a hybrid between a mandarin and an orange. It’s grown to be seedless and super sweet, and the zest has amazing citrusy, aromatic oils. I can get behind clementines. I remember eating my first one. Thinking how easy it was to peel, how sweet it was and how I much preferred it to the work it takes to eat an orange. I used to fill the crevices of my suitcases with the little fruit when I would travel home for the holidays because my family couldn’t get them yet. Not anymore. The fam procures their own tiny citrus fruit now. These crisp and chewy macaron-style cookies use the zest and juice of clementines to make the most delicious treat. I ground my own blanched almonds in the food processor. You don’t need to do this, but I find it releases the almond oils and creates a more flavorful cookie. I can also blend it well with the confectioners’ sugar. Clementine Almond Cookies get a little rest before baking, just like traditional macarons. The recipe calls for letting the cookies rest for an hour before baking. 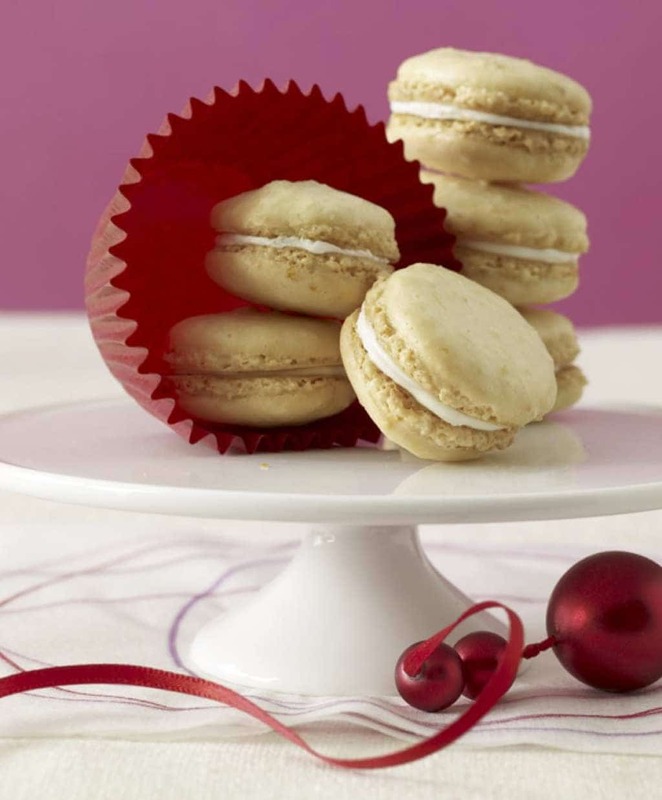 Some bakers swear by this practice for macarons, but others bake right away. What resting does is creates a skin or crust on the top of the cookie. 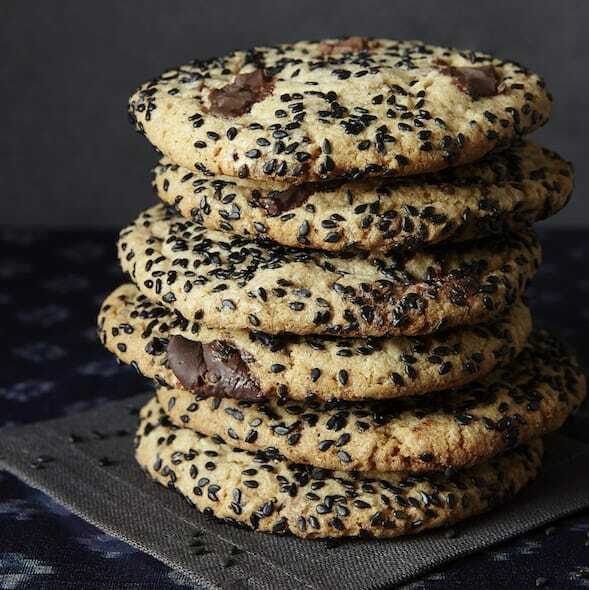 It dries out just enough so that when baked, the air bubbles escape through the bottom of the cookie creating “feet.” The air bubbles don’t come out of the top of the cookie so it looks shiny and smooth. Clementine Almond Cookies are my delicious citrus take on a classic macaron. The cookie is light, crispy but chewy and flavorful. Line two baking sheets with parchment and fit a pastry bag with a ½-inch plain tip or coupler; set aside. Blend almonds in a food processor until finely ground. Add 1¾ cups confectioners’ sugar and 2 tsp zest; pulse to combine. In a separate bowl, whip egg whites and cream of tartar to soft peaks. 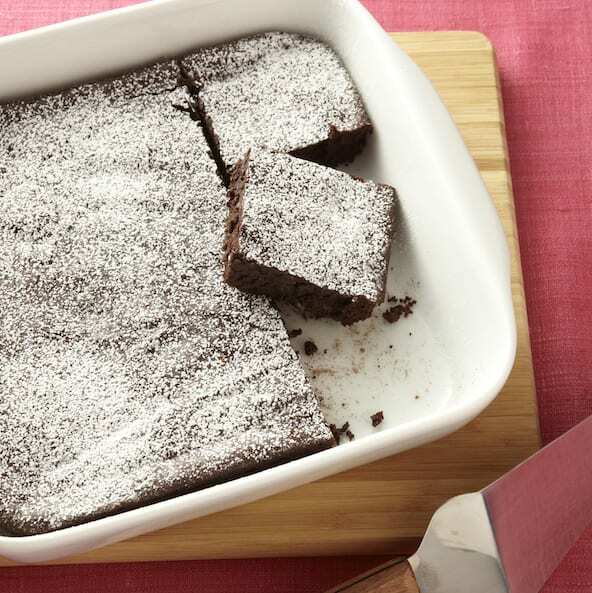 Sprinkle in granulated sugar and whip to stiff peaks. Fold almond mixture into egg whites in two batches. Transfer batter to pastry bag and pipe 1-inch rounds an inch apart on prepared baking sheets; let sit 1 hr at room temperature. Heat oven to 300ºF with two racks centered. Bake, rotating position after 10 min, until cookies are golden, about 20 min. Cool completely before removing from parchment. The recipe calls for letting the cookies rest for an hour before baking. 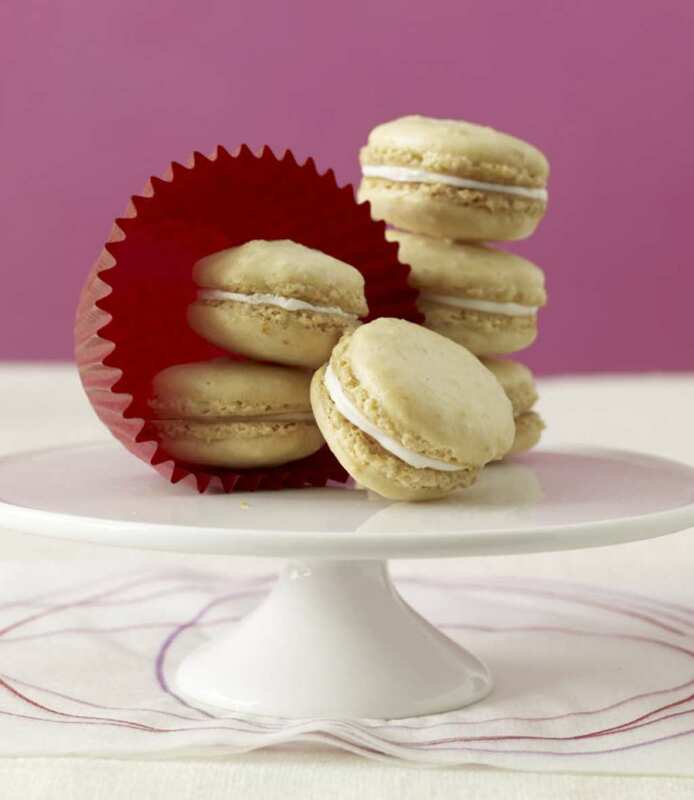 Some bakers swear by this practice for macarons, but others bake right away. What resting does is creates a skin or crust on the top of the cookie. It dries out just enough so that when baked, the air bubbles escape through the bottom of the cookie creating "feet." 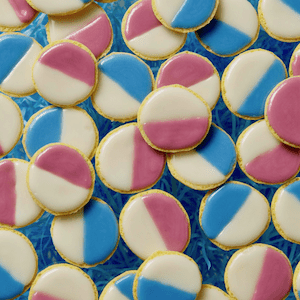 The air bubbles don't come out of the top of the cookie so it looks shiny and smooth. 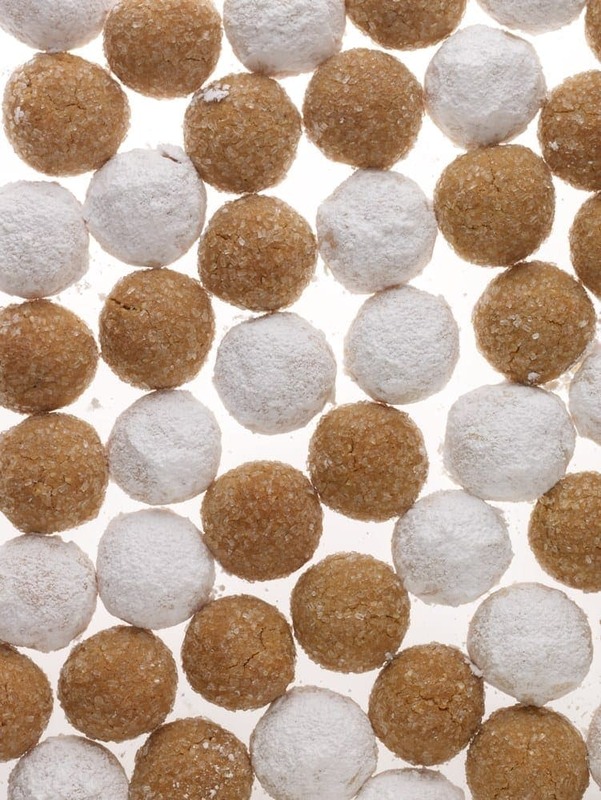 Both Ginger Spice Buttons and Coconut Cherry Balls are the perfect little cookie bites. They are my favorite cookie bon bons to give, and to eat! 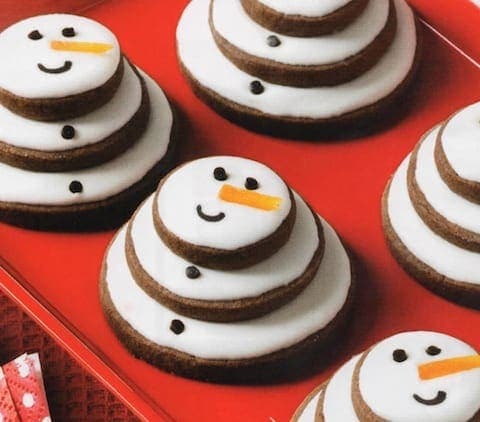 Chocolate Snowman Cookies are stacked almost as high as that snowman in your backyard. These taste much better though! Check Out More Of My Cookie & Dessert Recipes! These look divine! What a great flavor combination!